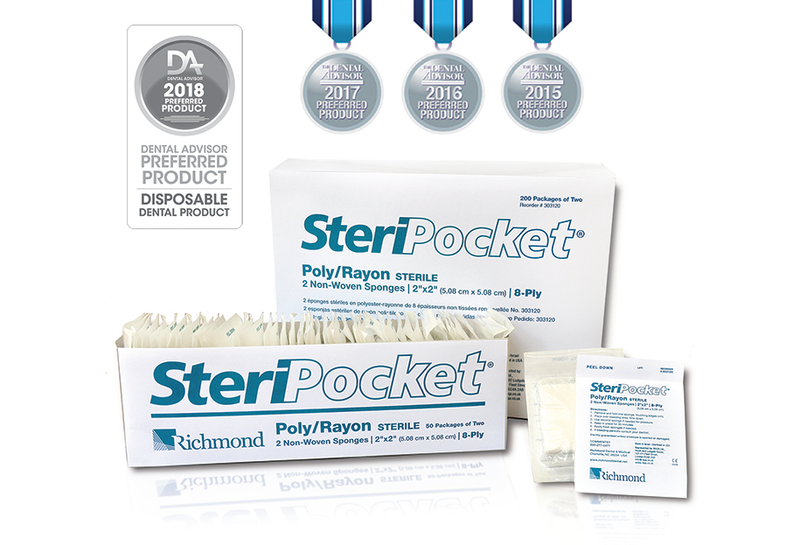 Richmond Dental & Medical MultiPly™ Rayon/Poly Nonwoven Sponges are made of 8 plys (layers) and are perfect for oral surgery and periodontic applications. These additional layers provide twice the absorption of traditional sponges. 2"x2" MultiPly™ sponges are also available in pre-sterilized SteriPocket®. These sponges are pre-packaged sterile sponges and are ideal to distribute to patients after extractions.